This 'map of time' was developed through the prompt of creating an infographic detailing one or multiple aspects of my life from youth to the present. The infographic below tracks the distribution of time I spent on the core pillars, or axes, of my life so far. Each irregular rings building outwards from the center of these axes, much like tree rings, indicates one year. Colored rings correspond to geographical moves that year. 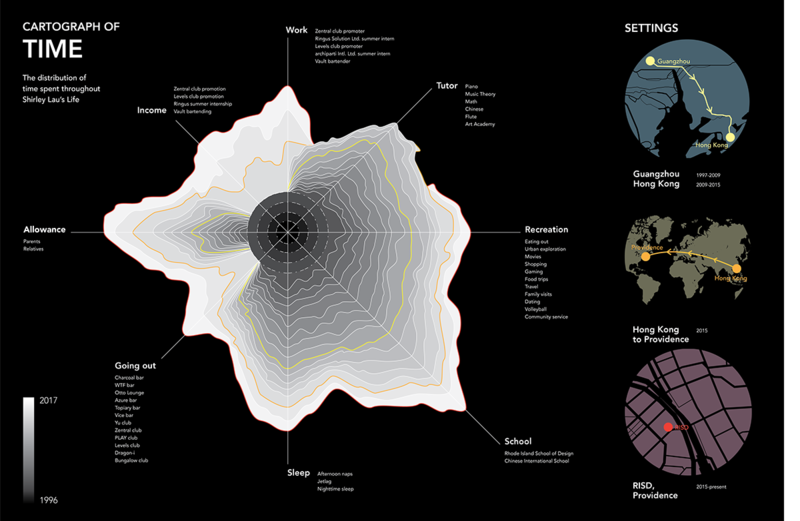 An layout of time and general geographical distributions in my life through infographics.